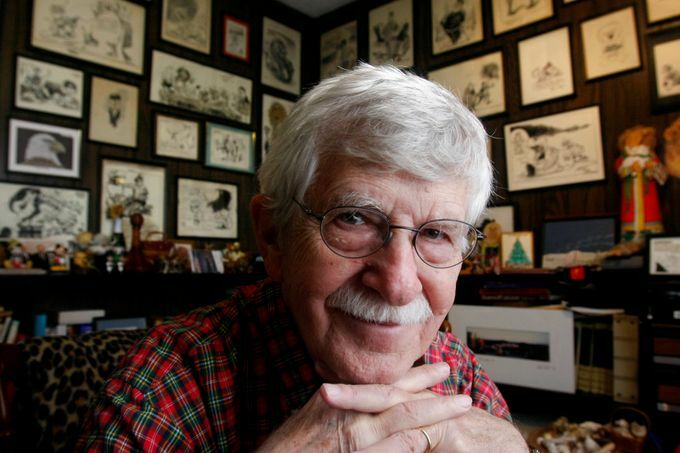 including editorial cartoonists Steve Benson and Charlie Daniel. Another brutal day for journalism. The slashing is expected to continue. At the Gannett owned Arizona Republic Pulitzer Prize-winning cartoonist Steve Benson was a casualty. Benson is a veteran of the Republic, joining the paper in 1981. He won the Pulitzer Prize for editorial cartooning in 1993 and was a finalist for the award in 1984, 1989, 1992, and 1994. Although most of his career has been in Arizona, he did a brief stint at the Morning News Tribune in Tacoma, Washington in the early ’90s. Republic executive editor Greg Burton deferred questions to a Gannett spokesperson. The spokesperson did not respond to a request for comment. 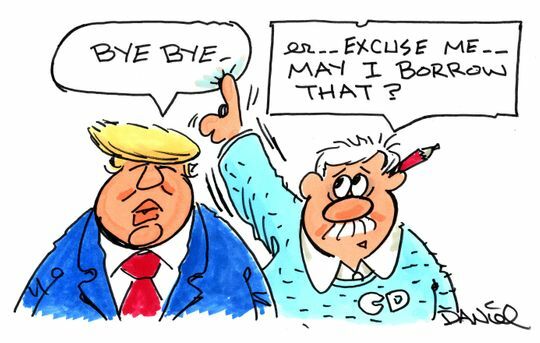 At the Knoxville News-Sentinel editorial cartoonist Charlie Daniel, who six months ago was inducted into the Tennessee Journalism Hall of Fame, was forced out. Charlie Daniel, who has delighted readers and poked fun at the powerful with his editorial cartoons in Knoxville newspapers for six decades, is being forced to lay down his pencils. Daniel turned down early retirement only to have his job eliminated. The News Sentinel is eliminating Daniel’s position as editorial cartoonist, according to multiple newsroom sources. From the Nashville Post is more about Gannett’s decimation of its Tennessee newspapers. I’m guessing this also means the end of Charlie’s Rosy’s Diner comic. Will update with more as news and reactions become available. Did you see Benson today? It was a ritual, for the powerful fearful of being skewered, and for readers looking for his take on the most important news of the day. They turned to Steve Benson’s cartoon on the editorial page of The Arizona Republic. Brilliantly sketched. And always with the sharpest, and finest, of points. 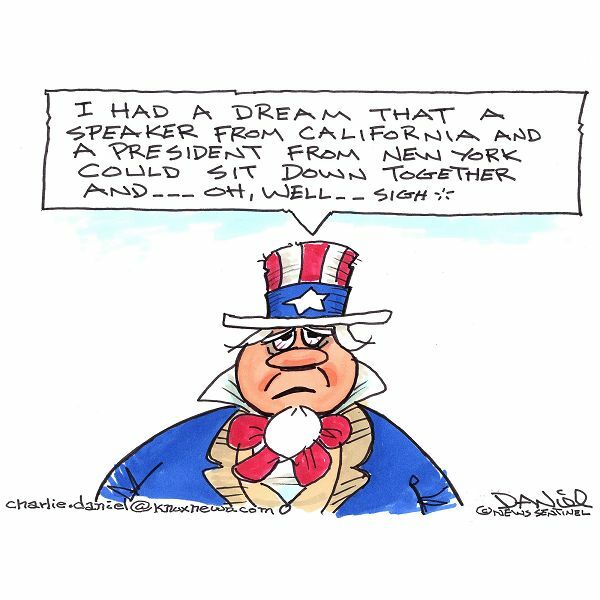 Puzzled by the status of Charlie Daniel. The Compass Knoxville (above) reported Charlie had been let go, but the Knoxville News twitter feed showed Charlie’s cartoon for today as did the AAEC, both showing the News-Sentinel as home paper. But the paper’s website has not update Charlie’s page to include today’s cartoon. The Knoxville News-Sentinel is reporting that Charlie Daniel will retire February 1. No mention in the announcement/article about Gannett forcing him out. The Knoxville News-Sentinel has set up an extensive tribute gallery (55 photos) of Charlie Daniel. Today’s column by Michael Cavna, of the Washington Post, reports the actions taken against Steve Benson and Charlie Daniel, and the sad trend toward editorial cartoonists in general. 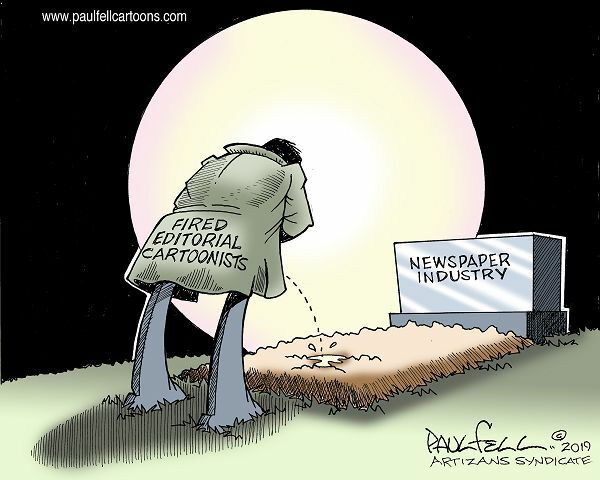 And that is what we lose most as the job of newspaper staff cartoonist disappears. We miss, and should mourn, these prominent visual voices who hold the feet of the mighty to the fire. They are conversational lightning rods – and their art attracts loyal eyes, especially when they become go-to institutions within a community. 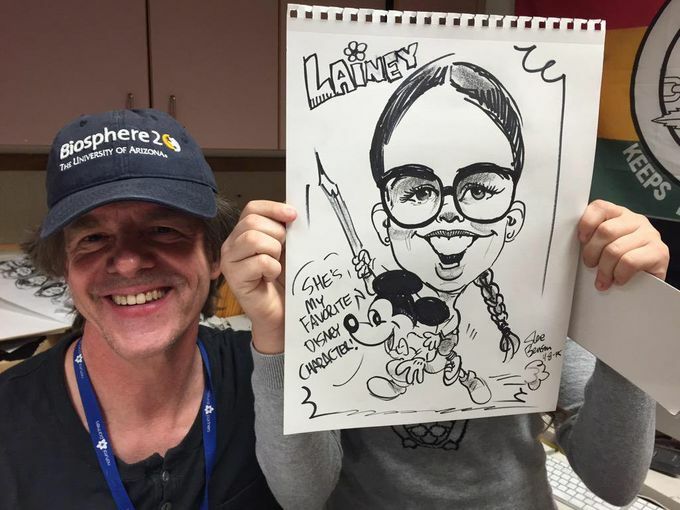 So enjoy your staff cartoonist while you have one – if you’re still fortunate enough to have one. Because the industry’s hourglass is not on their side. Here’s the column via SFGate if you don’t want to use a WashPost freebie. Arizona Republic readers are reacting to Benson’s firing with a full range of opinions. doffs his hat to, and sheds a tear for, fellow Arizona cartoonist Steve Benson. You knew Steve Benson’s cartoons from the editorial page of The Arizona Republic, beautifully drawn and pointedly on target. But he has a whole body of work you’ve never seen. Steve would set up an easel and draw caricatures to raise money for charity. He drew caricatures of his co-workers. If I had a guest in the newsroom, I would take them by Steve’s messy office, and he would push aside a scattering of pens and the ink-stained ruler on his table to draw them. He knew why people liked it. The Arizona Republic’s Karina Bland recalls Steve’s other career sideline as caricaturist. There was never any mistaking Benson’s feelings or beliefs, except by a never-ending supply of one-offs at GoComics who would call him a Hillary-lover, apparently unaware of the depth of his antipathy toward Ms. Clinton. I was surprised to learn recently that in 1988, he was a reliable Republican voice (per Jules Feiffer’s wide-ranging interview in the Comics Journal in that year, available online). I hope he lands on his feet. In a sane world, he’d be snapped up already. At the AAEC convention in 2016 at Duke University I had the pleasure of meeting Steve and sitting with him and some other cartoonists at the hotel where we were all staying. 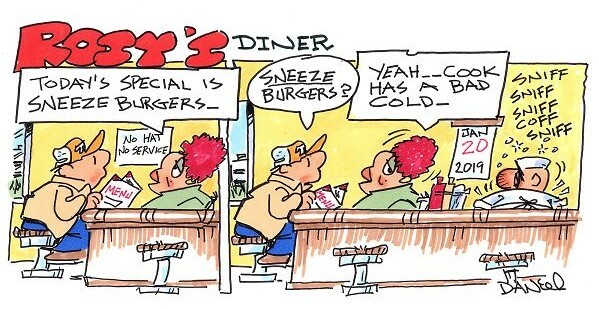 Not only is he a brilliant cartoonist but he is a genuinely funny guy. Later that week he drew a caricature of me that is one of my treasured possessions. His talent cannot be denied, and he will find a way to use it, not only for his benefit but for all of ours as well. Like Kathy Griffin before him, and Rosie O’Donnell, and that guy who took over the daily show, Steve Benson has finally found out that being a full-time Trump hater isn’t a lucrative business model. It leads to low ratings. If only the Arizona Republic had hired a business school graduate to run the place instead of a guy who earned a certificate of happy face in Maternal trans-gender meditation from Cal-State Berkley. 61 million people voted for the man who saved America from the nightmare that would have been President Hillary. And those 61 million are the very ones who can afford to buy things like newspapers and tickets to shows. Liberal Democrats are far too enlightened to do something as boorish as earn money or run a successful business. They’re busy doing noble things, like helping illegal aliens get welfare and free medical care for their anchor babies. So nobody goes to their shows or reads their papers or cartoons, and then they’re all out of a job. It’s the inevitable and easily predictable end to every liberal’s business career. 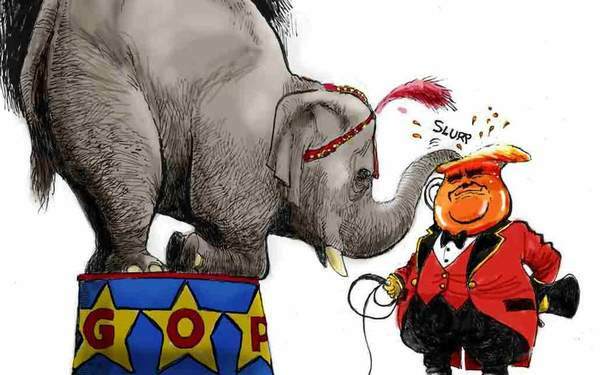 Buh-Bye Steve Benson, the entire Arizona Republic is right behind you, on the unemployment line. 29 queries in 0.246 seconds.